Sports injury surgery is often the last and final treatment option for some sports injuries. For some, surgery comes after many weeks or months of conservative treatment, and is the final attempt at a full recovery. Conditions like chronic ankle instability, patella femoral syndrome, and tendonopathy may benefit from surgery when rehabilitation fails. Other injuries that ultimately require surgery for a full recovery. These types of injuries, like ACL tears, shoulder labral tears, and meniscus tears, require surgery to reconstruct or repair the tissues. Conservative rehabilitation is usually not a long-term option because these structures do not heal on their own. Conservative treatment involves early acute care like R.I.C.E, pain and anti-inflammatory medications, and protection of the healing tissues. After initial treatment, rehabilitation programs that focus on restoring normal mobility, stability, and movement patterns can be successful for some injuries. Once the initial trauma of the injury has passed, conservative rehabilitation works to restore normal function. The ultimate goal of course is to avoid a sports injury surgery if possible. Unfortunately, depending on the severity of your injury and the structures involved, you may have to have surgery to get back to normal. Some tissues, like the anterior cruciate ligament, are unable to heal well on their own. Whether or not a tissue can heal on its own depends on the blood supply to the tissue, the normal function of the tissue, and whether or not it can be protected well enough to heal. Common tissues that do not heal well on their own and often require surgery include the fibrocartilage, articular cartilage, and some ligaments and joint capsules. Injury severity often determines the need for surgery. A grade one ligament sprain is much more likely to heal on its own than a grade III sprain. In general, for tendon and ligament injuries, complete ruptures (grade III strains/sprains) require surgery to reattach the torn tissues, or to reconstruct them. The ACL, achilles tendon, patellar and quad tendons, and biceps tendons are good examples of grade III injuries that usually require surgery. Injuries that are treated exclusively with surgery often include several weeks of conservative care to reduce swelling and improve range of motion before surgery. Injuries that can be managed conservatively go through rehabilitation, and surgical intervention is only necessary if rehabilitation is not successful. No matter what type of sports injury surgery you may be having, you likely have lots of questions. Use the links below to find out more about different types of surgery, and to help prepare yourself for the upcoming process. The pain levels, post-operative care, rehabilitation, and recovery timeline are different for open and arthroscopic procedures. Learn more about these differences, and what types of surgery is available for different injuries. 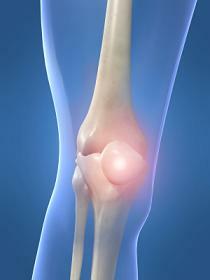 Knee surgery is very common with sports injuries. Learn more about specific knee surgeries like ACL reconstructions, meniscus surgery, and more. Knee arthroscopy is considered a "minor" knee surgery, and can be used to treat many conditions within the joint. It is minimally invasive, and the rehabilitation time varies depending on what was actually done inside the knee. Meniscectomy, or removal of a torn meniscus. Learn more about this very common arthroscopic procedure including details of the procedure, post-operative care, rehabilitation, and recovery timelines. Meniscus repair involves using sutures or tacks to repair the meniscus. Learn more about this procedure including surgery details, post-operative restrictions, rehabilitation, and recovery timelines. This sports injury surgery is used to treat patella femoral problems and is common arthroscopic surgery for sports injuries. Learn more about indications for surgery, procedure details, post-operative care, and rehabilitation. ACL reconstruction is considered a major knee surgery and is a very common sports injury surgery. It involves reconstruction of the anterior cruciate ligament, and extensive rehabilitation. Learn more about surgery details, post-operative care, rehabilitation, and recovery timelines. Not all orthopedists are created equal. 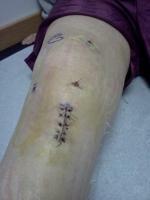 Do you know what to look for in a good surgeon for your ACL surgery? Learn about the benefits and drawbacks of this graft type, and how it plays into the reconstruction and rehab. You may be given a choice in the type of graft used in your reconstruction, so you need to understand the differences. Is the hamstring tendon graft a good choice for you? Read more about this tissue type, why it is used, and how it affects your rehab. Includes information on graft details, and potential benefits and drawbacks. A good start to pre-surgical ACL exercises to help you prepare for surgery. Focuses on reducing swelling and inflammation, restoring range of motion, and improving muscle activation and control. How much does it hurt? What will my knee feel like? What on earth is all of this yellow stuff? ACL reconstruction can be very anxiety provoking, with lots and lots of pre-surgery questions. Get answers to common questions about pain levels, braces, crutches, recovery timeline, and others. The first week after surgery is important to get yourself started out on the right foot. Learn how to maximize your recovery, and what you should and should not be doing right after your surgery. Regaining motion after surgery is very important. Here are a few ways you can work to improve your motion and help move your recovery process forward. How long will you be on crutches? How long do you have to wear a brace? When can you run again? Read through my ACL timeline and learn more about what lies ahead. Timelines are different for each physician, but this is a good general guideline. If you have had an ACL reconstruction, or are getting ready for this surgery, it often helps to read the experiences of others. Whether you have questions you want answered, or just want to share your experience, this is the place for you. Labral repairs, SLAP Repair, bankart reconstructions. Learn more about these types of shoulder surgeries. Learn more about this type of shoulder surgery used to treat many different shoulder injuries. Includes details on what injuries can be treated arthroscopically, surgery details, post-operative information, and other general information. This arthroscopic procedure is used to treat impingement syndrome. Information on procedure details, post-operative care, rehabilitation, and recovery timelines. Arthroscopic or open procedure used to repair a torn rotator cuff. Get more information on how the surgery is performed, post-operative restrictions, rehabilitation, and recovery timelines. This procedure repairs the labram, or cartilage, of the shoulder and can be performed arthroscopically or open.